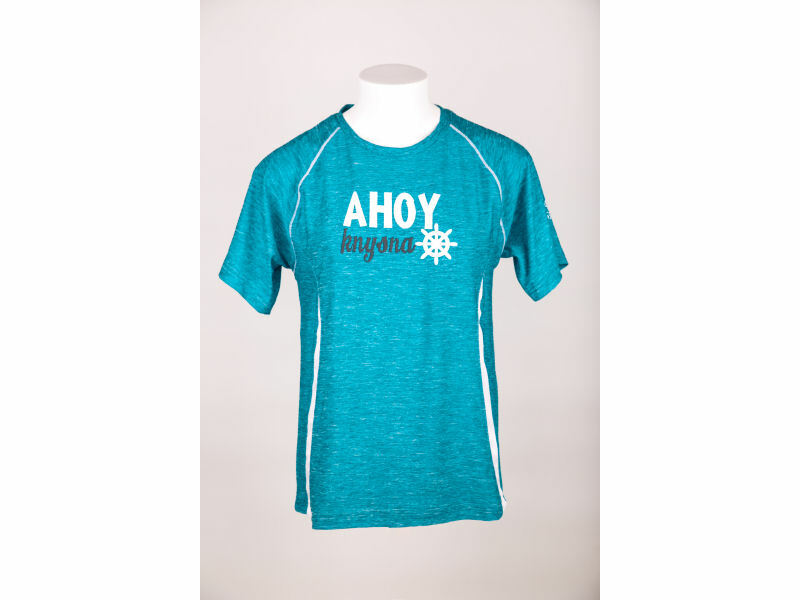 Turquoise splinter polyester spandex kids t-shirt. 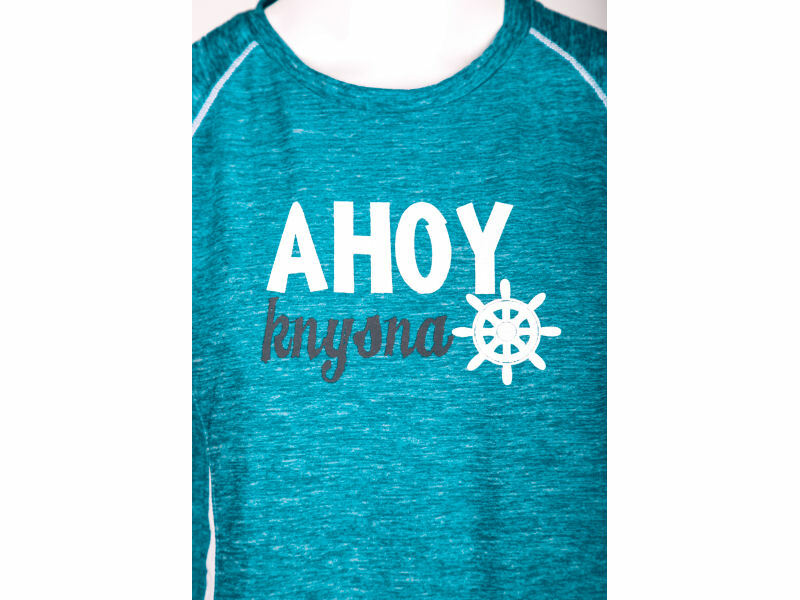 White and grey “Ahoy Knysna” with helm print on the chest. 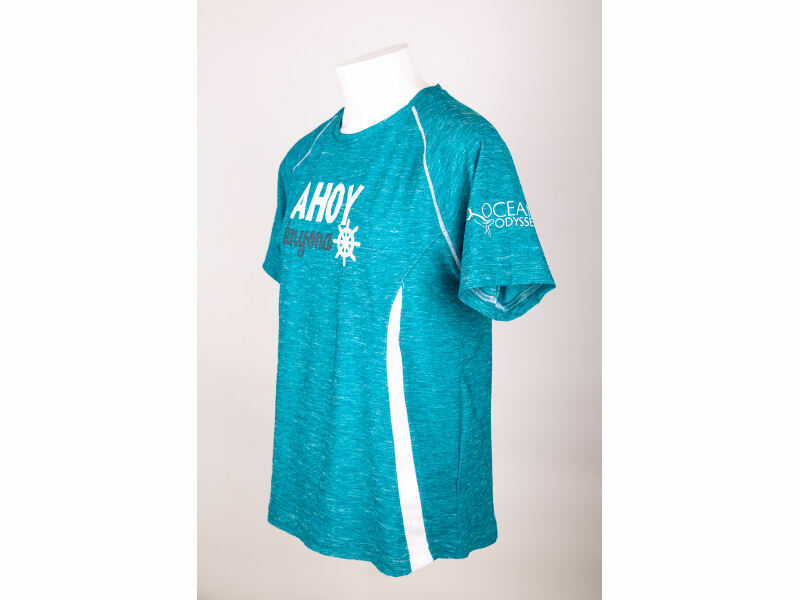 White panels on the sides and white stitching details on the sleeves. 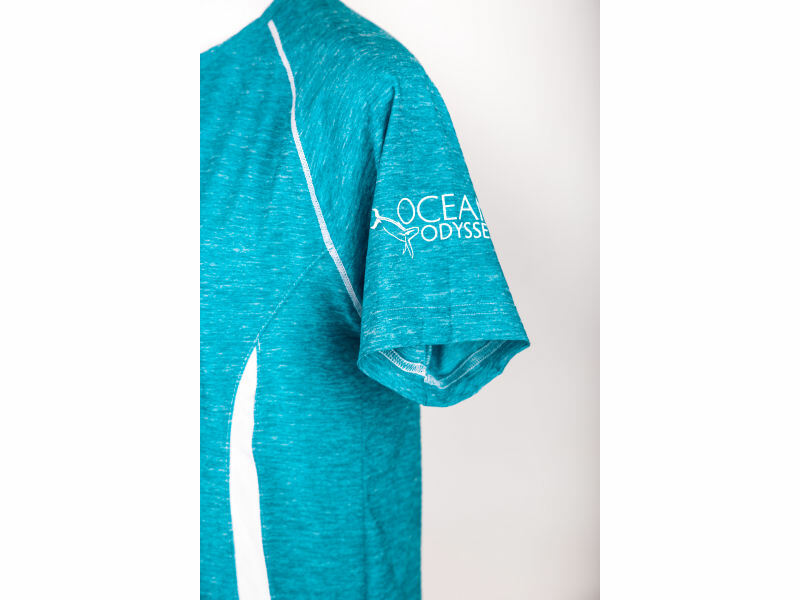 White Ocean Odyssey print on the left sleeve.